Motherwell hope to build on a fine start to 2018 when they visit Easter Road on Wednesday. 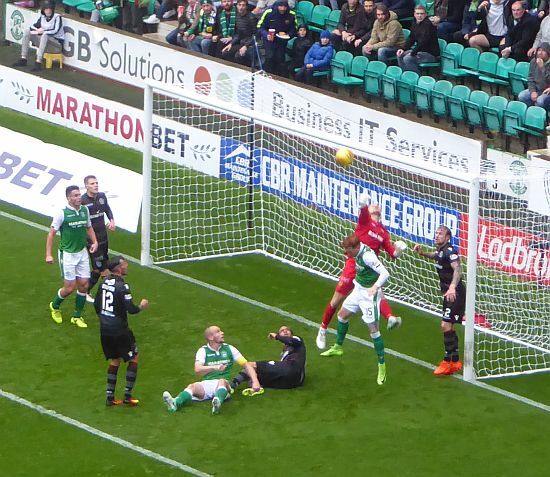 A late goal took a point from Hearts on Saturday; can we do better against Hibs? If the team can replicate the mindset of steely determination that formed the basis of the draw in Gorgie then there is very reason to believe that we will do no worse in Leith. As the winter transfer window ends a couple of hours after the final whistle there could be a surprise or two in the line-ups. Any potential movers may not be risked lest they become damaged goods. Of particular interest will be Trevor Carson. The Motherwell ‘keeper is wanted by Celtic as they seek cover during Craig Gordon’s absence. He’ll get a warm welcome from the travelling support if he takes his place between the sticks. Reports suggest that Celtic may make a move for John McGinn. The highly rated midfielder (recipient of 14 yellow cards this season) would attract a substantial fee and his absence would not be unwelcome. Hibs , like Motherwell, suffered a drop in form as the old year ended. They have won twice in the last nine outings yet still hold a comfortable grasp of fourth place in the table. Two second half goals from Louis Moult levelled the first meeting between the teams in September and another draw would not be a surprise; 1-1.